As sweet as cinnamon: On Craftsy! do I produce paper patterns or go with PDF patterns. to have patterns more readily available to everyone. It saves time and money to have an instant download. So PDF patterns seem to be the best option. have opened my own store. It's called Sweet Cinnamon. great tutorial lessons to buy, patterns galore. My newest Pattern above and below is available from my Craftsy store now. where you make two table runners from one charm pack. recently and wow they look just gorgeous. and uploading them into my store too. To celebrate opening my Craftsy store I am having a giveaway. on your blog and tell me you have done so, in your comment below. I will draw a winner on Tuesday 28th May 2013. And it's a Craftsy prize of course! 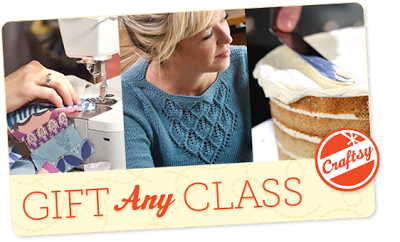 to spend on any Craftsy online class. choosing and doing your class. Best wishes with your new venture Dawn..
Oh I received a beautiful table runner made with your pattern in a swap... Love it. That's awesome Dawn. I don't have a blog so hopefully you can still consider me in the giveaway. 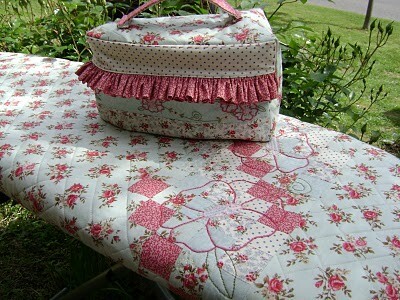 I just posted the info about your blog and craftsy store to my facebook page which you can double check if you'd like. I will email you the link to my page. I LOVE the ironing board cover. That's gorgeous. Well done. I've just tried to buy your table runner pattern but it doesnt seem to be working for me. I will try to come back later and try again. Congrats on the new direction. Congrats and good luck, Dawn. I will go over later in the day and take a good look at your pattern...maybe give it a go! Congratulations on you new venture! I don't have a blog but I'm hoping I can still enter!